Here is a new mini Christmas stocking crochet pattern. This 6 inch long stocking pattern features a ribbed cuff and is worked top-down. There is an option for a folded over cuff which was a later idea added to the original pattern. 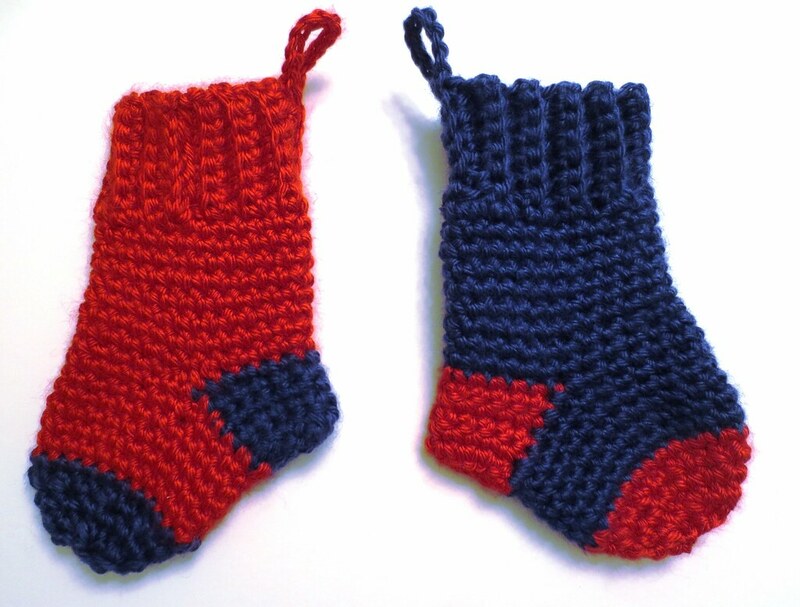 Directions for both styles are listed in the free crochet pattern below. or 56-60 yards for longer fold-over cuff option. 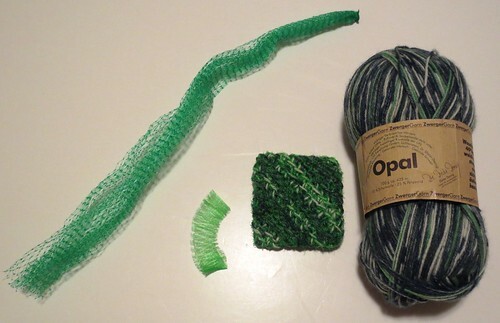 With Caron Simply Soft yarn- length is 6 inch long from top cuff to toe. 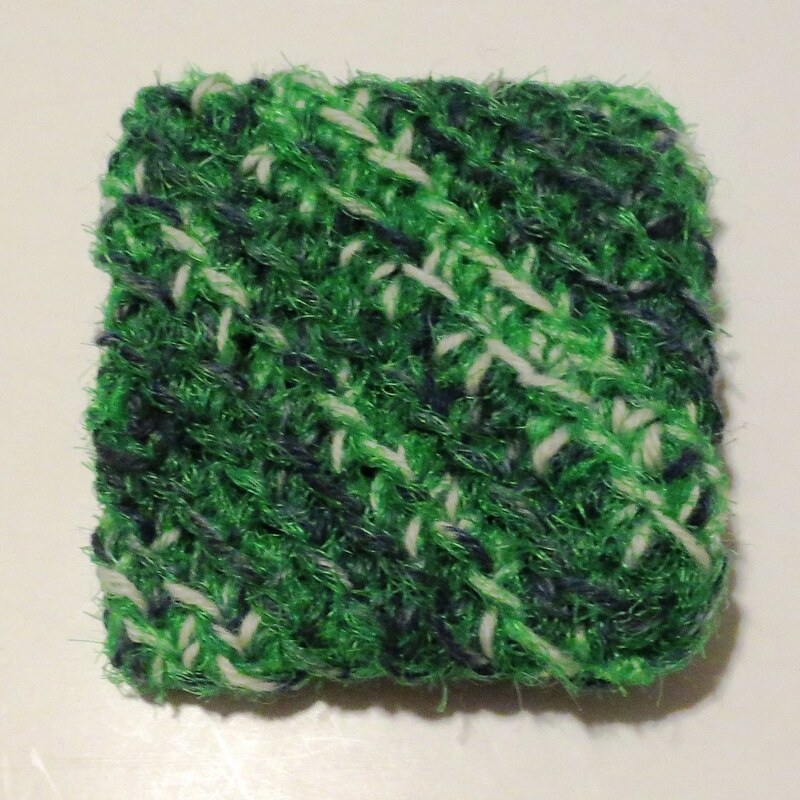 2.75 inches wide across top cuff. With Red Heart Super Saver yarn- length is 6-1/3 inches long. 3 inches wide across top cuff. I crocheted this recycled plastic bag tote using the free ultimate recycled grocery bag pattern. 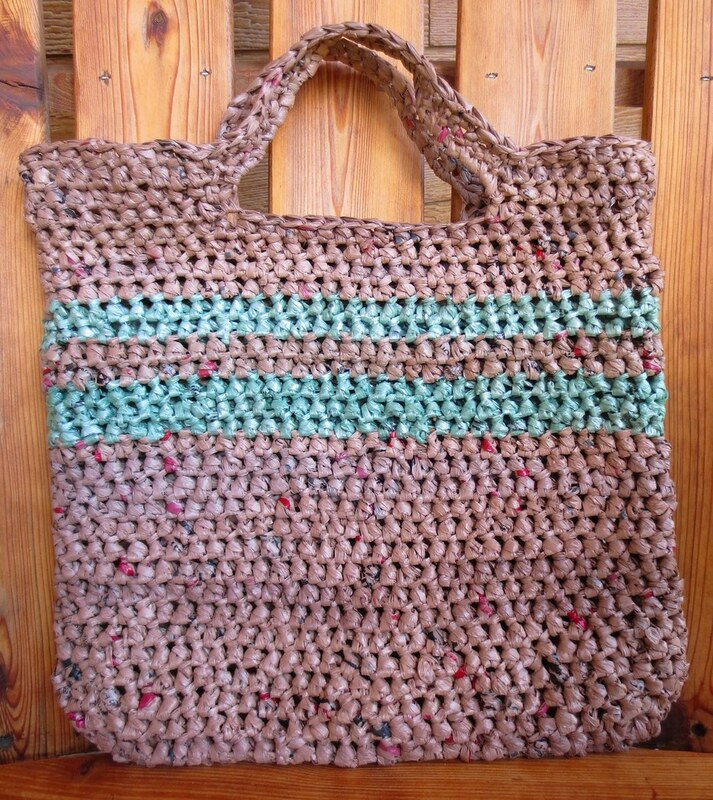 It is crocheted with recycled brown Safeway grocery bags and a few green bags added for stripes.